Henry Says, “Hello” is a unique, true-to-life children’s book full of adult wisdom. It is a teaching tool for parents and teachers, designed to teach children how to safely and gently say “Hello” to dogs by reading the dog’s body language and recognizing signs of imminent danger. Not all dogs are ready to be approached due to issues of their own. They may have been abused or neglected by past owners, and they may not have been properly socialized. Children approaching such a dog may suffer disastrous results, such as biting, or worse. Lessons learned from this book may well prevent future injury to children, as well as dogs being put to death as a result of a biting incident. In this book, Henry is a real-life, sweet little dog, whose main purpose in this story is to teach children how to safely and gently say “Hello” to dogs. Henry’s “sister,” Reese, is a rescue dog that has been adopted by Henry’s loving home people after having been raised at a puppy-mill, in dire need of rehabilitation. Henry has played a very large part in helping Reese fit in to a kinder world and teaching her to be the happy, playful dog she is today. 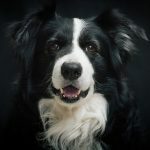 In this story, Henry teaches children how to read a dog’s body language along with proper ways to greet a dog, especially one that is unknown to them. The importance of these lessons are not only to keep the child safe, but also to allow a fearful or traumatized dog a smoother introduction into the world of children. For a successful partnership between your pet and your children, it is imperative to understand the types of actions that drive a dog to bite and to teach your children how to recognize and respect each and every type of dog and the signs they convey with their body motions. With simple guidelines and precautions a rewarding relationship with dogs can develop that will last a lifetime. 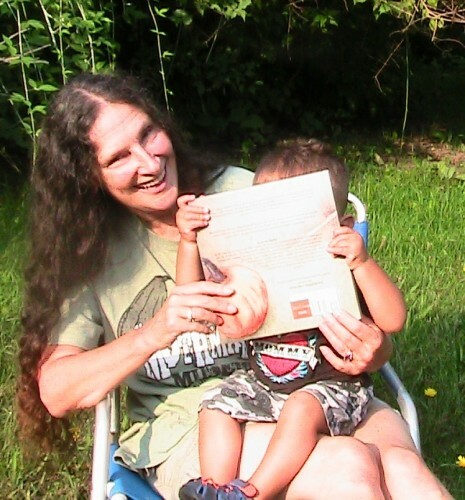 I read this book to my grandson, Landen, who is with us 5 days a week while his mother works. 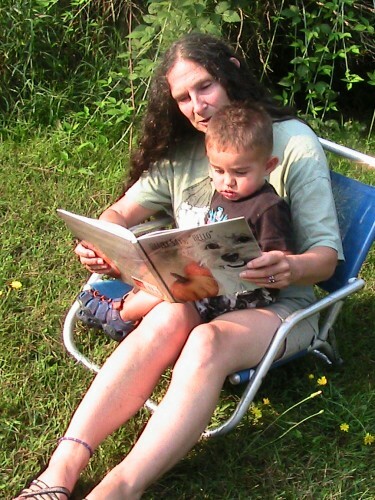 Landen is only 15 months old, so while he’s still too young to truly appreciate and understand the message of the book just yet, he does love all the illustrations (done by the author herself) of puppies and children, and is quick to lovingly kiss the nice pictures. In our household, we have one dog, one cat, and one bearded dragon. 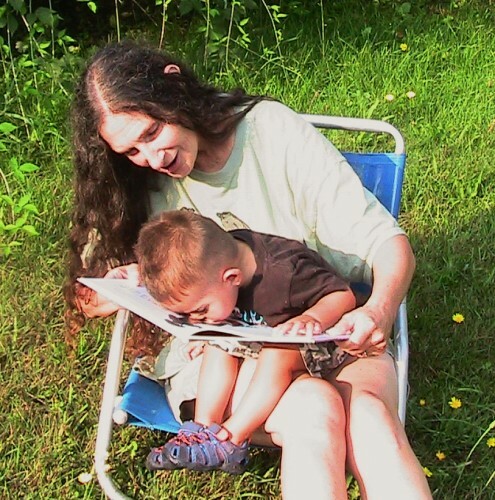 Landen’s mother also has cats and dog-sits on a regular basis, so Landen has already been learning since he was born how to act around other animals. 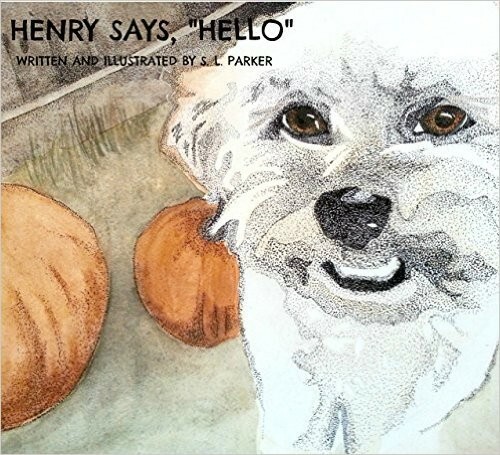 Henry Says, “Hello” is easy to read using rhyme, with plenty of beautiful illustrations of these real-life dogs and their friends. At the back of the book is a list of 8 tips, encouraging parents to review these with their children on a regular basis. There are also questions asking the child reader to remember the signs of a fearful dog that they learned from this book in order to deepen the lessons learned. Henry Says, “Hello” is sure to be a book that will enlighten your child and be a precious treasure that can be passed down for years to come. I plan to read this book to Landen frequently as he grows up so that the valuable lessons within will be permanently ingrained. This book is Landen approved! Sarah Parker grew up on a farm and has had the pleasure of having animals for friends throughout her life. 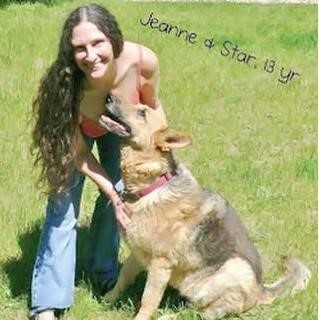 She currently lives in Ontario, Canada with her husband, John, and furry kids Henry, Reese, and Ricky the Rooster. *** Proceeds from the sale of this book will go towards rescue efforts, medical research for animal-related illnesses and pet and learning programs. NOTE: No purchase necessary. This giveaway is open to residents of the United States and will run through September 13th 2015, 11:59PM EST. 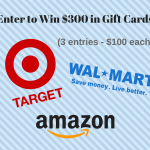 The winner will be randomly selected via Rafflecopter. The winner will be contacted via Email and they will have 48 hours to respond before a new winner is chosen. 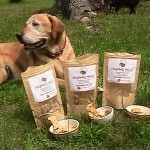 Please check your email and be sure to add jeanne@animalbliss.com to your address book! Come back and enter daily! 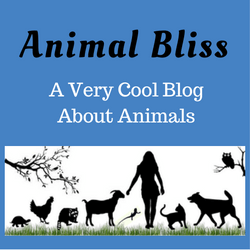 If you would like to have your products featured in a giveaway on ANIMAL BLISS, contact jeanne@animalbliss.com with your request. As always, thank you for taking the time to visit my blog! Sadie recently posted…LUST – OR IS IT? This book looks like something my kids and I would enjoy together. I love the illustrations. Thanks, Emily. It really is a nice book. Thanks for entering the giveaway, and good luck to you! Sounds like a wonderful book, a fiends having twin girls soon, would be a great book for them to share when girls are older. A ‘friends’ having twins that is! The Fiend will be missed from our rescue group for a while, she pulls our dogs from shelters. Yes, this would be a great book for a “fiend” to read to her twin girls. lol Thanks for entering the giveaway, and good luck to you. The cover and the message this book gives sounds amazing. Your pictures with your loving grandchild make the message even stronger. Thank you Francene. This book is popular in my house. It’s one of my grandson’s favorites. Thanks for your comment! That sounds like a nice book that will teach kids kindness to animals. I think this is a wonderful book! It is never too early to begin teaching your children to respect other and respect animals. Even if they don’t understand everything right away, it builds a foundation for those learning experiences later on. Kids learn a lot quicker than we think they will! Robin recently posted…It’s Playful Kitty’s 2nd Blogaversary! I’d love to use it with Mr. N’s therapy work. Ooh, that would be perfect! Let us know if you do. 🙂 Thanks for stopping by. Beautiful cover. I think it would be a really nice book to read to my grandchildren too. Landed is so cute! Congratulations Amy! I understand you are the winner of this giveaway. I hope your grandchildren enjoy the book. Thank you. The book arrived today and it’s just beautiful. I love the illustrations and that the text rhymes. I can’t wait until my grandchildren visit so I can read it to them. I think it has a very important message, too. Amy recently posted…Secret Snow Freak…Shhh! Who wouldn’t love such a darling book? 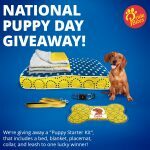 Cute pup, good cause, doesn’t get much better. Thanks for your comments, Aimee. 🙂 I’m really glad you came by for a visit. Come back soon! I want to win because I love books, and I really love animals. Those are perfect reasons. Thanks for entering the giveaway, and good luck to you. My nephew loves all animals and I would love to give this to him. 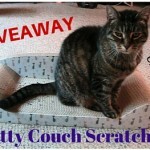 Good luck with the giveaway, Tallulah Jane. Your nephew would love this book. Sounds like a very cool book. Thanks for sharing – and I will share this! Sounds like a great book with lovely illustrations. It’s a great book, Salma. Sarah really outdid herself with this one. Thanks for your comment! I think there is a big need for this book, and it doesn’t hurt that some proceeds go to worthy causes. I’ve shared on Facebook and Twitter. Hey, Alana. Thanks for stopping by, and I appreciate your sharing this post on Facebook and Twitter. There really IS a need for this book. My grandson loves it. 🙂 Come back soon! Thank you so much for sharing Alana! Ah, Sadie. It’s such a beautiful book. I’m glad you like the review. Landen sure makes a cute model, doesn’t he? 🙂 All the very best to you! Stay in touch.